There is a closet in our basement that I believe was intended for linens or something, but has been repurposed into what I call “The Food Bunker”. We have four growing boys to feed and that adds up. Our commitment to keeping our spending down involves savvy shopping. Bearded Husband is quite adept at keeping the costs down. He seems to have memorized the standard price of everything. Me: Hey! Chicken is on sale. I can stop on my way home. BH: If it’s not less than $3.00 per pound, don’t bother. I can’t keep those numbers in my head. In fact, I had to check that price with him before I wrote this. Me: I picked up Oreos, they were on sale. BH: Less than $1.99? No? Hope you kept the receipt. Living on a budget means you have to be patient. Me: We’re out of apples. BH: I know. I’m waiting for the fall when they go on sale. I’ll just start taking some Vitamin C supplements for a while. 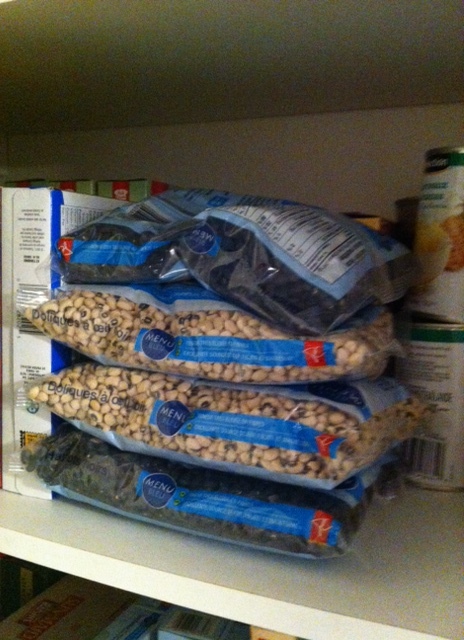 When there are sales, we stock up. And I mean stock up. That’s when the Food Bunker really comes in handy. We’ll be eating vegetarian for the next while, boys. No one is allowed to be lactose intolerant for the next few weeks. 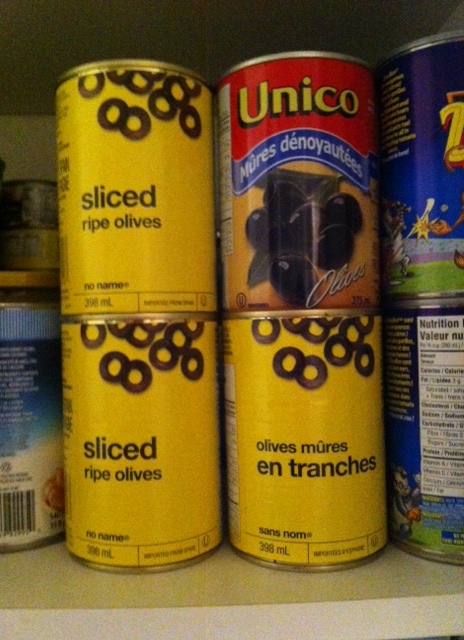 You may have sliced black olives or French sliced black olives, but no kalamata – they weren’t on sale. 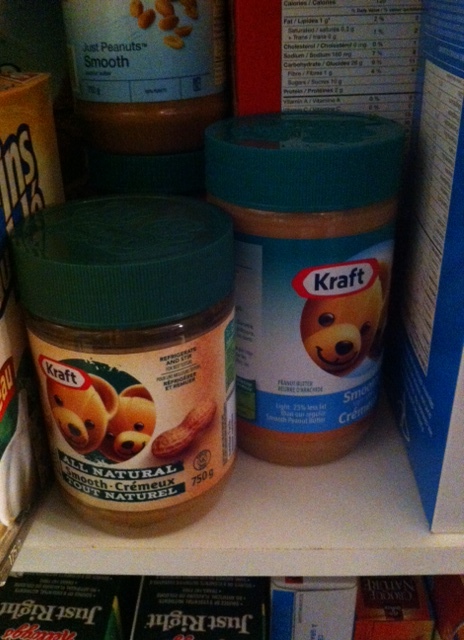 You are in luck, natural AND processed peanut butter were on sale. The boys have grown up with the understanding that very little is bought that is not on sale, or at the very least on for a reasonable price. 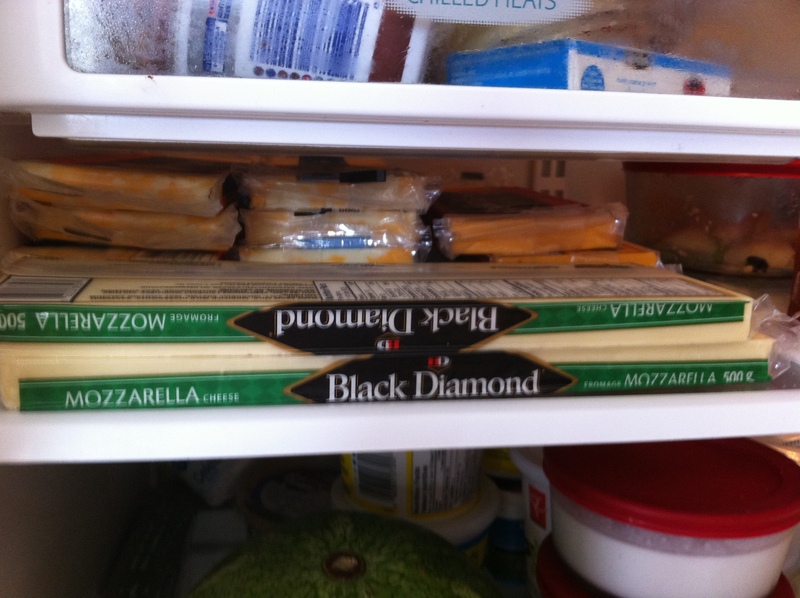 But they use this knowledge to try to get non-essentials into the grocery cart. Son: Oh! Can we get these? Look, they are on sale. I love those chips. Me: That’s a featured item, it’s not on sale. Son: Can we get some Fruit to Gos? Son: Cheesestrings are ON SALE. Can we get some? You never buy us those. Living within our means and keeping to a budget doesn’t mean we don’t treat ourselves, though. 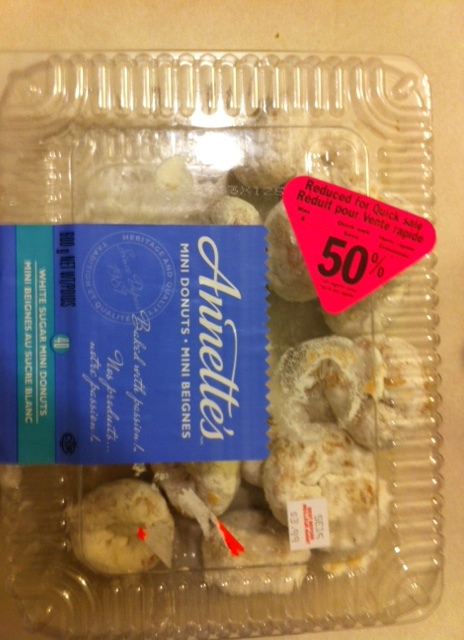 In fact, look what we are enjoying today (please ignore the pink sticker). I haven’t indulged in these because raisins are involved. 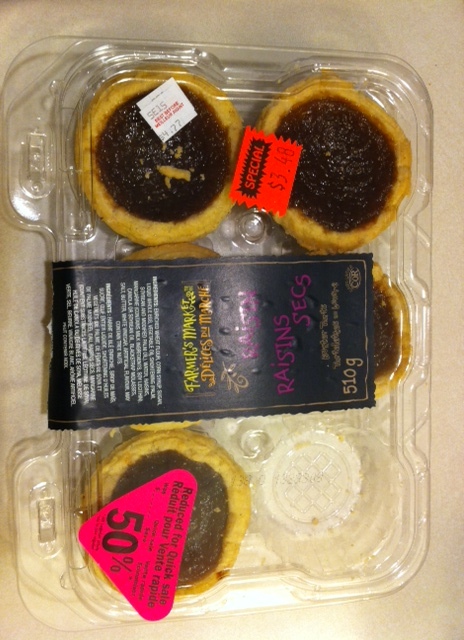 They might be 50% off, but they are 100% delicious. What do you do to save a buck or two? Seriously, I’d really like to know. *More of my thoughts on Cheesestrings coming soon. Author Jan MoyerPosted on September 17, 2013 September 16, 2013 Categories Bearded Husband, Lessons Learned the Hard WayTags budget, Family, groceries, sales, Shopping23 Comments on Is it on Sale?